The 25B Bronzed Mocha palette was released at the same time as the 25A Copper Spice palette, and after some tough deliberations, I decided to go for the 25B Bronzed Mocha palette. As much as I love a warm toned eye makeup look, I was drawn to some of the cooler tones in this palette. 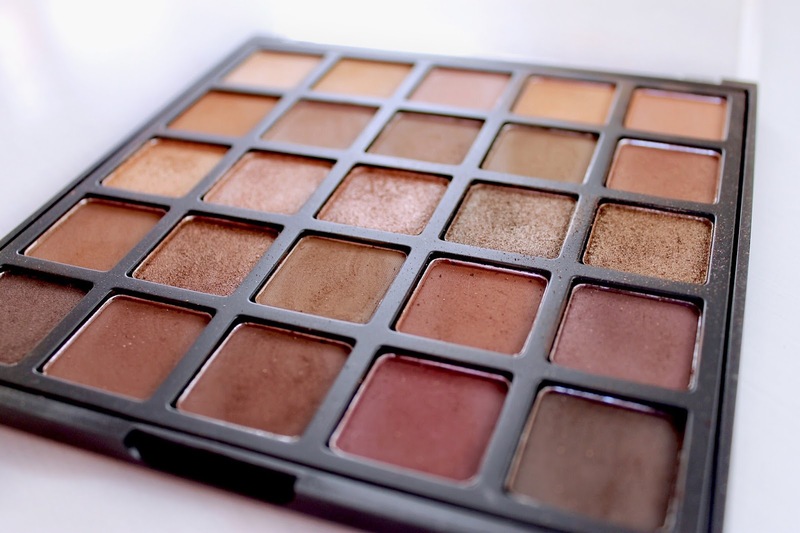 This palette has a mix of warm and cool toned shades, focusing mainly on browns, peaches and pinks. There are mattes, shimmers and satins in the 25B Bronzed Mocha palette; the more neutral matte shades are so easy to wear and easy to blend, whilst the shimmers have a really nice buttery texture and fab pigmentation. My only complaint with this palette is that the darker mattes are a tad dry and not as pigmented as I'd hoped for. They take a little more work to blend than I would like, but for £19.00, this product is really good quality. 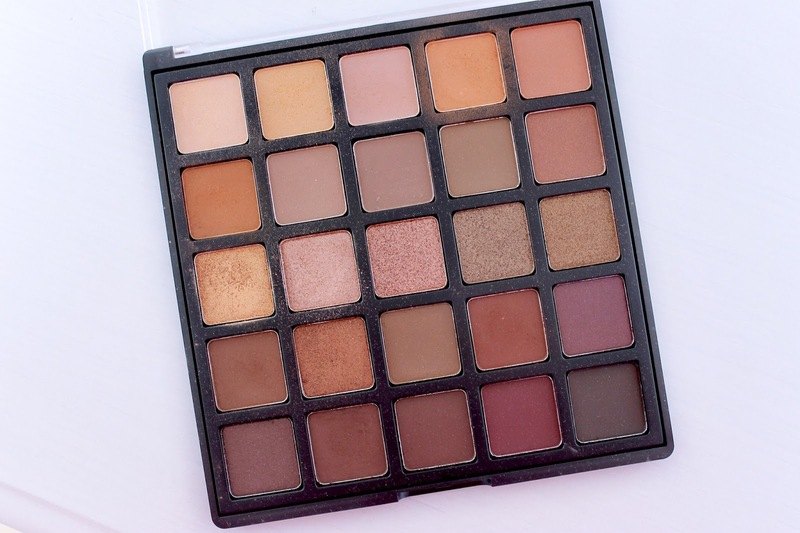 I love to use this palette for everyday; the top row especially are great base and transitional shades and the second row are perfect just to add a little definition to my eyes. For a full glam look, the shimmers look gorgeous when used with MAC's Fix+ to add extra intensity. The 25B Bronzed Mocha is excellent value for money, and is such a great palette for traveling with as it is so versatile. It has become my go-to eye palette over the past couple of months and the colours are gorgeous. I find Morphe's packaging to be quite flimsy, but I do love that the top is clear so you can see the colours easily without having to open it or check the back for the name. I love all of the Morphe Brushes products that I own, and if you are after an affordable palette or some fab quality brushes, check out their website. I am yet to try any of their lip products, but I hope to get my hands on some soon! I hope this review is helpful, you can purchase the 25B Bronzed Mocha palette here! I can also be found on Instagram, Twitter, Facebook and Pinterest! These colors are LIFE! Brown is becoming one of my favorite colors right now so that's what drew me to checking this out. I can imagine the shadow is super pigmented too. Gonna have to look into this company, thanks! I dont actually own any Morph palettes but I've tried their products before and they are really good quality! I'm loving the amount of shades in that palette!